-Can you tell me about a situation when work is difficult around here? The group of construction workers at first seemed startled by the question, but clearly interested in engaging. Somewhat hesitantly one of them disclosed that they had problems with the availability of tools on site. It wasn’t perhaps that work was difficult to perform, but it was frustrating to spend ‘hours every day’ looking for tools. Some of the other participants joined in and explained that the tool store didn’t have enough of the specific tools needed for various jobs. “So the storeman tells us to find the person who checked out the tool and ask to borrow it from them”. On a large site this task was not entirely straightforward. Sometimes they couldn’t find the tools and new ones had to be ordered. Time and money were being wasted on a project with very tight delivery dates. In the following focus group, the information about the tool situation was used to trigger discussion. It brought out additional layers of the issue. -The problem is that people hide tools! They don’t want to waste time looking for tools, so they don’t share the tools when asked. 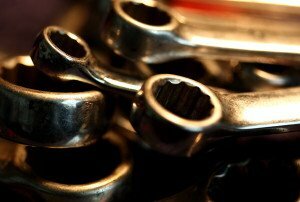 If you let go of some tools, chances are that you won’t get them back when you need them. 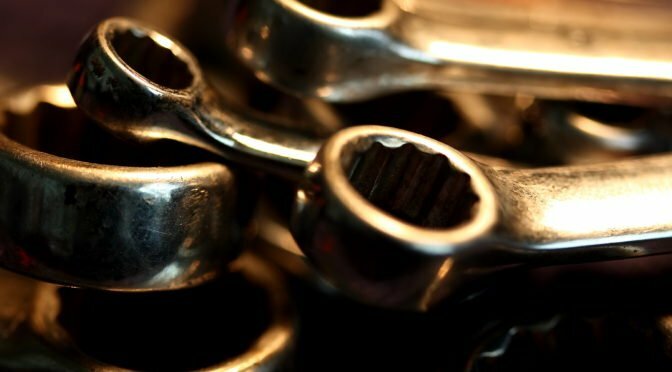 The solution to the tool shortage problem was functional from a very local view, but with huge costs for colleagues and ultimately project delivery. Garret Hardin’s ‘Tragedy of the commons’ seemed relevant. However, I was touched by how passionate these people were to do a good job. They wanted to achieve great outcomes, but were undermined by scarcity and complexity. In the subsequent focus groups the tooling issue became a standing point to explore. While the problem seemed clear enough, I expected to find more diversity in how people had solved the issue. -I bought my own rattle gun mate. I spent $2,000 because I got sick and tired of looking for one or waiting around. But do you think anyone will thank me for that? I silently wondered how the organisation would react if that rattle gun was involved in an incident. -If I can’t find a tool I walk over to X (a competing contractor on the job) and I borrow tools from them. The group cracked up in laughter while my corporate colleague and I were more embarrassed than amused. -There may be a few rolls of shade cloth missing somewhere. More laughter. More embarrassment. Because we hadn’t gotten the tool procurement right, a ‘black market’ had emerged. The solution could not be found in any formal descriptions of work, nor could the cross-organisational connections. It was a succinct illustration of how people develop their own solutions when an organisation does not provide enough resources to meet demands. It wasn’t only the tool situation that was wanting: people had brought magnifying glasses to be able to read drawings that had become jam-packed with detailed changes. And despite the same design being built on numerous sites, there was no single source of truth how to put the structures together. One worker used his smart phone to build a database of photos from the different structures illustrating what he considered the right way – something he used in discussions with peers and supervisors. The focus group had been designed to tap into when work was difficult, with the hope of identifying situations where control was challenged, but not lost. The stories that came out indicated that perhaps the main reason control hadn’t been lost was the human factor: people had adapted to overcome. They may not have been the best of adaptations, but in the absence of wider support and informed assessments the adaptations were locally, and at least momentarily, good enough. But none of these issues, or solutions, appeared to be safety issues. Not by a traditional definition anyway: no harm, no immediate risk, nothing that went wrong. From a safety point of view nothing was broken, nor was there overt exposure to malicious energies. When I came back to the office I relayed the tool story to my manager. In return, he shared what he had learnt from an incident investigation elsewhere. When plastic pipes had been moved on the fourth floor of a construction site, a come-along had slipped out of one of the pipes, dropped over the edge and fallen to the ground where it almost hit a person. At first the organisation could not understand why there had been a come-along in the pipe. However, through interviews they learnt that people occasionally hid tools to overcome a shortage of tools. Disasters, incidents, injuries, and illnesses are predominantly understood as ultimately stemming from hazards, or the ineffectiveness of controls. However, trouble more often than not seems to brew elsewhere – in normal work. Whatever safety is, it cannot be one-sidedly understood as a thing unto itself, but a quality that is negotiated and emerges from a wide range of non-safety-specific activities. While there may still be advances to be made in understanding hazards and accident causation, the focus on prevention, detection and reduction of the probability of negative outcomes cannot continue to be the main emphasis of organisations that want to create safe workplaces. If there is such a thing as a ‘safe organisation’, it is an organisation that fixes things even if they aren’t broke. When is this task difficult? What are you dependent on to do a good job? Are tools and resources always available to do the job? What do you do if you can’t access tools and resources in time? What solutions have you come up with that the rest of the organisation could learn or help you to improve? Where are we wasting time/money? Is there something which is nonsensical or unnecessary that you have to do here? Obviously, these questions focus on only part of the distribution of events that we can learn from to create better workplaces. I’m keen to hear from readers how the above list can be improved and expanded. Hollnagel, E. (2014). Safety-I and Safety-II: The past and future of safety management. Farnham, UK: Ashgate Publishing Limited. There is so much wood to be cut that we don’t have time to sharpen the axe. I don’t want to stop and take the stone out of my shoe, I just want to know how to limp faster. Construction has seen changes but not many really. And when they do they resist it with gusto. This is the challenge with construction at least, is acceptance and redesigning how to achieve better efficiencies. It will defiantly not be easy. One the questions I find useful is ‘If they didn’t check x, would people still do it?’. This gives an insight into whether the employees genuinely believe in a workplace practice. For example, compliance activities tend to be actively avoided where possible but when you ask questions about them, employees tell you what you want to hear: ‘yeah, it’s good. Everyone thinks it’s worthwhile’. Ask them the above question and you get ‘nah. Why would they’. If an employee will only do something if we’re checking on them, rather than if they genuinely believe in it, then it is inevitable that the task will fail. To create better workplaces, it’s helpful to keep prompt questions open and neutral. This allows people to take the conversation to places important to them, not me. It’s also how you find out about things that weren’t even on your radar like the lack of tools issue. When I do hear about a variation, I like to get the storyteller’s interpretation if it’s a workaround or a shortcut. Workarounds can be great examples of creativity. They typically arise because work-as-imagined can’t be done so adjustments are made to get the job done. There should be feedback loop to the work designer. Process or system revisions can then be made that make sense to both planners and executors. Shortcuts are trickier. Shortcuts are great if changing conditions improve productivity but not so great if changing conditions enable danger to emerge, i.e., getting closing to the tipping point. The safety problem is that we don’t really know where the tipping point is and when failure will actually occur. It subsequently can lead to having a valuable at-risk behaviour discussion. Shortcuts and workarounds were involved in the causation of the USS Forrestal (CVA 59) fire and the Apollo XIII caaualty. Variation is the enemy of quality. Uncontrolled variation is a precursor of disaster. What are your favorite shortcut/workaround fubars? This article has given me a light-bulb moment. Thank you. It’s been in the back of my mind for some time – but I wasn’t able to articulate until I just read your article – that focussing on WHS as an issue apart from operational matters has not necessarily been helpful for anyone. Yes, I agree that the concept of hazard identification, risk assessment and risk control has contributed significantly to preventing injuries and improving productivity over time. But so often the solutions we come up with, when seen as stand alone solutions also introduce ‘;conflicting risk’ issues for the business. I think this is clearly illustrated by Rodney’s experience in construction. WHS is so often seen as a barrier to productivity when we have to stop and put things, that cost time and money in the immediate timeframe, in place to protect people from injury. Also when I see so many workers struggling with conflicts between ‘doing it safely’ and ‘getting the job done’. So maybe it’s time now to review how we approach this concept in the broader context of the business. May be it’s time for us to change the language to focus on ‘risk management and decision making’ to broaden the discussion to cover risk issues from various sources. Risk to productivity, as per your article about tool availability, can arise from various directions and each impacts on so many other, including the implications for risk to safety of persons. Several years ago I develop an integrated model I call ‘6 key business systems’ which illustrates how a decision in one of the 6 systems has implications for the other five – every time. But now I understand my own model more clearly and how I can use it in discussions with operational managers going forward. You get what is inspected, not what is expected. 1. Null consequences reinforce dysfunctional behavior. 2. Null consequences extinguish functional behavior. Conditions, behaviors, actions, and inactions are the way they are because management wants them that way, management tolerates their being that way, or management does not know they are that way. Under the Safety-I paradigm, people are supposed to follow standards, procedures, and rules. Compliance is the norm and as noted by William, variation is the enemy of quality. If an accident occurs, the principle of investigative analysis attempts to understand why the outcome of an action(s) was unacceptable. Initiatives like BBS and Just Culture will zero in on a person’s behaviour, the antecedents, and the consequences. There is a strong assumption that a direct cause & effect relationship exists and it’s just a matter of finding it. Is there a ‘safety differently’ alternative that applies the Safety-II paradigm? One I am aware of is Erik Hollnagel’s Functional Resonance Analysis Method (FRAM). The investigative analysis begins by establishing how work is actually done, how everyday performance takes place, and how things go right, as a prerequisite for understanding what has or could go wrong. Things do not generally go wrong because of outright failures, mistakes, or violations. They rather go wrong because the variability of everyday performance aggregates in an unexpected manner. This is captured by the principle functional resonance that is the basis for the FRAM. Compliance and quality management also need a feedback loop to enable a process for workers to address and review ‘odd’ or ‘previously unidentified’ barriers to the standard being implemented consistently. Without an effective feedback loop the standard itself, and the insistence on requirement for compliance to it, can become a barrier to safe productivity. Workarounds usually arise from these issues. The boss wants the job done to a certain standard and the boss wants compliance but they don’t want to know that the job can’t be done that way in this instance. This is where my concept of conflicting risks arises. Totally agree, Les. That’s why I have a concern with “best practices”. It’s rare that a feedback loop is built into the process. As a manager in an electric utility, I had the impression once the standards guys had written up a best practice, they ticked off a completed box on their ToDo checklist. Since it’s now the best, the mindset was no need to ever revisit, adjust, or fix so just do it. The only time I was able to provide meaningful feedback was during an operational or safety audit. We were given passing grades based on the degree of compliance with the best practice/standard. It was my opportunity as a line manager to push back and challenge the status quo. I was fortunate that upper management were receptive. When Business Process Reengineering was the rage in the mid-90s, I got to play a significant role in encouraging process designers to listen to the voice of the front-line worker. The feedback loop is there, but it isn’t what you seem to have in mind. Anything that works will be used over and over in more and more challenging circumstances until it is involved in disaster. Copy cat job hazard analyses. I recently attended an internal safety program surrounding the safety management system (SMS) of the organisation, the primary aim, to teach individuals what’s required of them in implementing a complex web of procedures and forms. The audience was a makeup of rail track workers, graduate engineers and me, the HSE Manager. The program content was generalised in order to suit each participant. Afterwards, I reflected on the content and raw feedback from the participants during the two day program. >Why is there a perception that the safety professional has all the answers? >How have we inherently created a problem of restricting creativity and innovation amongst the people on the ground? >Why is it that we calibrate our people to identify problems, not solutions? The answers to these questions align to the premise of your post in my view. It will take professionals in the safety role to think ‘outside the square’ and not be governed by the norm or limiting content of training programs delivered within industry. In order to increase variability we need to foster an environment that allows for positive creativeness with our people. This journey must be sparked by the willingness of all professionals in this industry to change with the change. Finally, and back to the story, during the first break of the training program, I explicitly informed the participants to answer openly and honestly as I was interested in hearing their thoughts on the subject matter (and not just a HSE Manager that would judge their responses or answer all the questions). They soon felt more comfortable being in an environment, where they’re view was respected and valued. Put simply, contribution formed part of the solution, albeit in a small environment, it was effective.